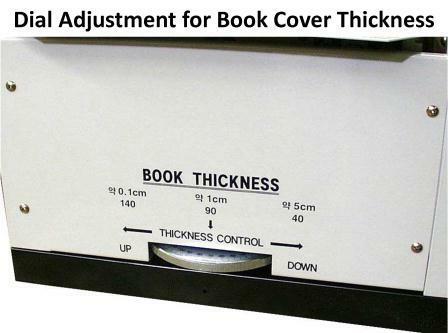 Perfect Bind Up To 360 Books Per Hour Up To 2.25 Inches Thick! User Friendly, Automated Features for Production Binding...Plus; A Mobile Steel Cabinet, an Interlocked Safety Cover and a Heavy Duty Notching System with a Built-in Vacuum Waste Removal System. The SPIEL DigiBinder Plus will bind books automatically with a touch of a button. The book thickness is self adjusting. Simply place the book in the clamp and the SPIEL DigiBinder Plus will do the rest: it automatically sets the clamp thickness. A heavy-duty dual purpose blade roughs and notches the entire book spine while the built-in vacuum system collects the waste in a sealed bag. 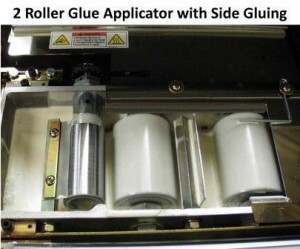 Twin glue rollers apply an even amount of glue and the nipper automatically adjusts to the book thickness. The interlocked safety cover will automatically stop the binding process when lifted. Only a few manual adjustments need to be made. 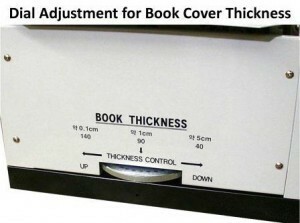 The latter allows you to bind books with case bound covers on down to light cover stock. Good for runs of one to hundreds and thousands, built for thousands of runs. The DigiBinder roughs the entire backbone and notches. Notching blades are two small points that turn on a wheel and scrape the backbone of a book block prior to gluing. This creates what looks like a barber pole on the spine of the book block and the glue will seep into these spiral gouges in the spine. 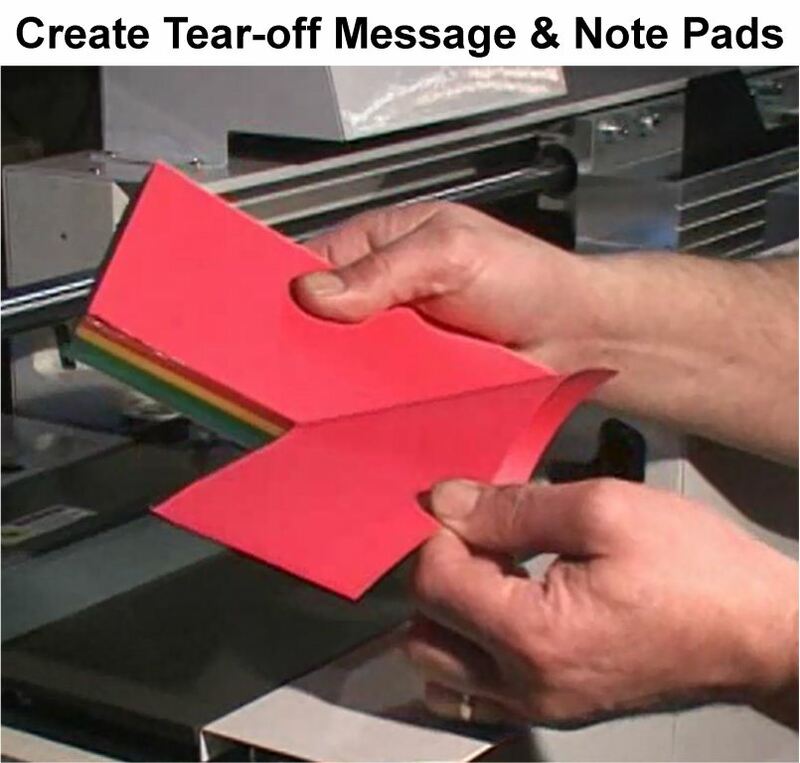 Adjust the glue thickness and turn off the roughening and notching blade to create tear-off message pads instantly! With the DigiBinder you can eliminate the time consuming, tedious task of creating custom pads on a padding press. The padding press process requires hand brushing a coat or coats of cold padding adhesive and then waiting for the adhesive to dry before separating the pads with a pad knife. The cold adhesive process could take hours or days to complete the job. Unlike the cold adhesive process the hot melt adhesive of the DigiBinder dries instantly once applied, the pads are ready for use immediately. Creating custom pads on the DigiBinder is fast and easy! The operator simply loads up to 2.25 inches of paper separated by chip board in the paper clamp, the DigiBinder automatically applies a thin adhesive coat, the operator removes the 2.25 inch pad block, then uses a pad knife to separate the pad block at the chip board into multiple pads. The pads are ready for use immediately or boxed up for delivery to your customer. 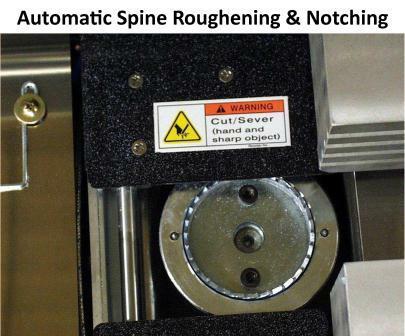 Need automatic cover feeding and book stacking? Watch this video on the DigiBinder Super. Check out the complete DigiBinder line-up; watch this video that gives you a brief overview of each DigiBinder model. Watch the video for a complete demonstration of the Digibinder & Digibinder Plus. 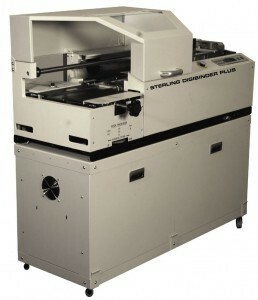 Watch video on the Super DigiBinder with more automation including a cover feeder and vertical book stacker. 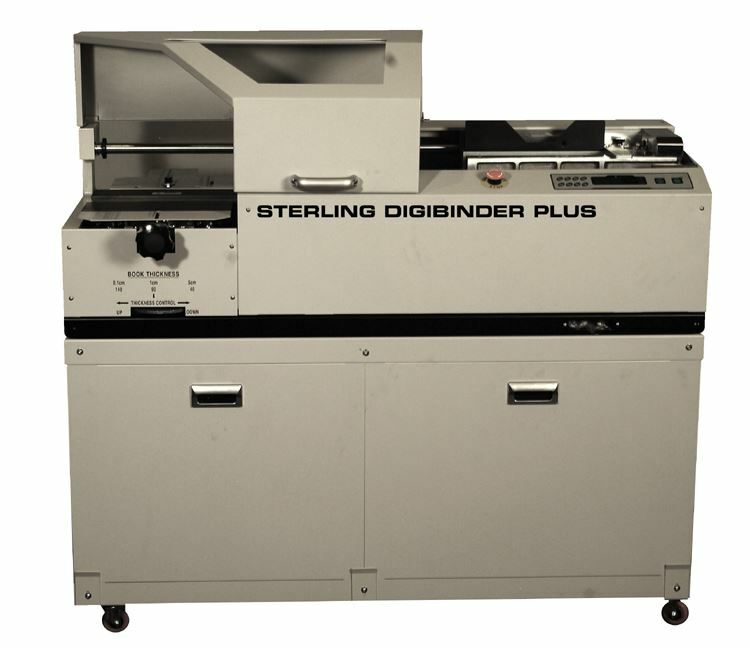 Watch this video the gives you a brief overview of the DigiBinder Perfect Binders complete line-up.